It is planted because of the thickened roots . The cultivar Nooitgedacht has a long growing season that will not flower and form early seed. Radish is normally a winter and autumn planting fodder . Japanese radish is resistant to cold and are not affected by frost, it grows best in cool parts with reliable rainfall from January to April. 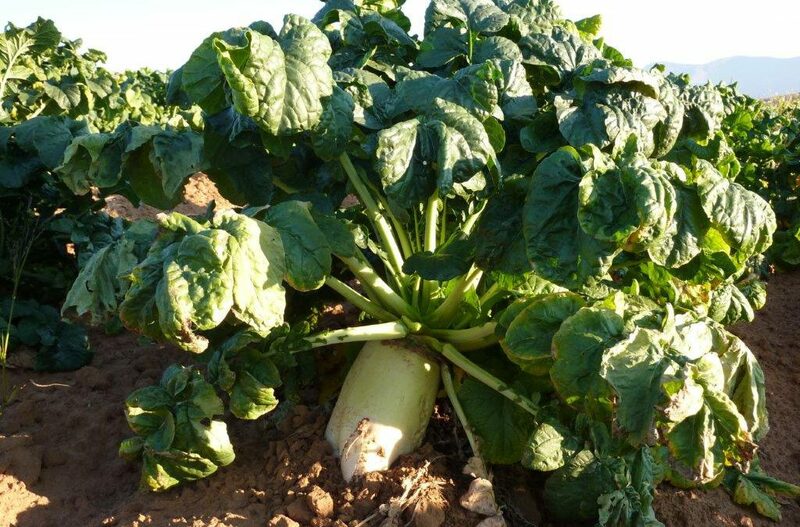 Japanese radish grows best on light soils, sandy and loamy soils, it doesn’t performs very well on soils that has resulted water logging. It promotes water infiltration, aerates ground and alleviates soil compaction. Sow at a soil temperature of not lover than 10ºC. Japanese radish has a potential DM yield of 12-14t/ha. Gives good production during winter, roots and leaves can be fed. A succulent feed for animals for the dry months if pasture under irrigation is insufficient or non existent. 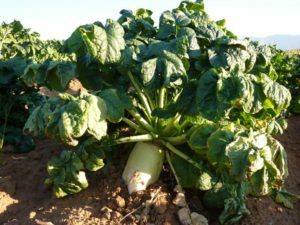 Japanese Radish Nooitgedacht 3-5 450mm+ per year The whole of South Africa Jan – March Adapted to a wide range of soil types especially light soils to loam soils. Prefer soils with a high moisture content.